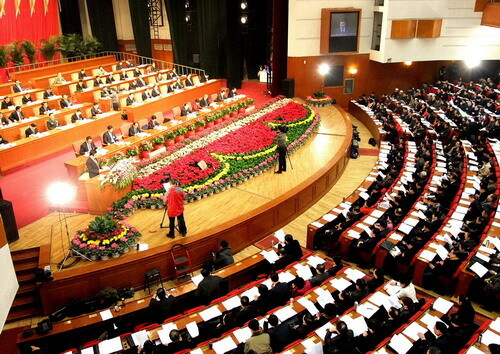 The Fifth Session of the Eleventh People's Congress of Hebei Province came to a close at the Hebei Hall on Jan 10. Zhang Qingli and Zhang Qing addressed the meeting and were elected as the director of the Standing Committee of Heibei Provincial People's Congress and the governor of Hebei Province respectively. Zhang Qingli said that Hebei province should speed up the pace for transforming its economic growth mode and focus on scientific development to further promote and build harmony. In addition, Zhang Qingwei, the new governor, showed his resolution to make contributions towards Hebei's economic development and its people’s happiness.